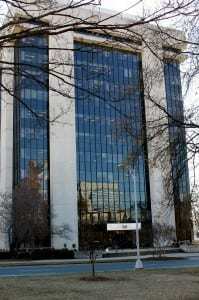 Our Charlotte office is conveniently located across the street from the Mecklenburg County Courthouse. It is also easy to access from I-77 and I-85. You can choose from several exits from I-277. For those using GPS, just input: 301 South McDowell Street, Charlotte NC. You can also type in Cameron Brown building, Charlotte NC. Once you arrive, you can park in one of several on-site parking lots. Don’t forget to bring your parking ticket stub as we validate for all clients and potential clients. When having to appear for court dates, parking is free to our clients who can then walk to the courthouse. For routine updates about court dates and case status, we often meet with clients after court in the courthouse. For more detailed discussions about case strategy and options after a full review of the State’s evidence, many clients prefer the more private setting of our office. We accommodate their preference and even offer weekend consultations if that is more convenient for their work or school schedules. From our uptown Charlotte office location, we are able to represent clients charged with DWI throughout Mecklenburg County, including Charlotte, Ballantyne, Blakeney, Dilworth, Meyers Park, North Davidson (NoDa), Matthews, Lake Norman, Davidson, and Huntersville.